21Vianet Group Inc (NASDAQ: VNET) stock fell 5.8% on 17th August, 2018 (as of 9:08 AM GMT-4; Source: Google finance) after the company posted the mixed results for the second quarter. 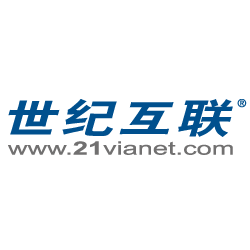 VNET has posted Net loss for the second quarter of 2018 of RMB95.5 million (US$14.4 million) compared to net loss of RMB119.3 million in the same period of 2017 and net profit of RMB34.7 million in the first quarter of 2018. As of June 30, 2018, the Company’s cash and cash equivalents, restricted cash and short-term investments were RMB2.66 billion (US$401.6 million). VNET in the second quarter of FY 18 has reported the adjusted loss per share of 1 cents, beating the analysts’ estimates for the adjusted loss per share of 6 cents. The company had reported the adjusted revenue growth of 11.4 percent to $125.2 million in the second quarter of FY 18, missing the analysts’ estimates for revenue of $153.14 million. The revenue grew due to continuously increasing demand from the Company’s new and existing customers. Gross profit increased by 3.6% to RMB229.4 million (US$34.7 million) in the second quarter of 2018 from RMB221.4 million in the same period of 2017 and increased by 0.7% from RMB227.9 million in the first quarter of 2018. However, gross margin fell slightly to 27.7% in the second quarter of 2018 from 29.8% in the same period of 2017 but remained relatively stable compared to the first quarter of 2018. The decrease was mainly due to an increase in depreciation. Moreover, the adjusted cash gross margin expanded to 43.9% in the second quarter of 2018 from 42.8% in the same period of 2017 and 43.4% in the previous quarter. The increase was due to the company’s efficient management of cabinet capacity, power usage efficiency and human resources in the second quarter of 2018. Since the second quarter of 2018, the company has eliminated approximately 214 lower-margin cabinets in partnered data centers, bringing the total number of partnered cabinets to 4,982 in the second quarter of 2018 from 5,768 in the same period of 2017. For the third quarter ending in October, VNET expects revenue to be in the range of $131.8 million to $134.9 million. The company expects full-year 2018 revenue to be in the range of $514.6 million to $530.3 million. Meanwhile, in August 2018, the company has secured over 1,000 datacenter cabinets in Shanghai, China. The newly added cabinets are consistent with the company’s capacity expansion strategy. The Company expects these additional cabinets to be delivered in two batches by the end of 2018. Further, in August 2018, the Company and a subsidiary of Tus Holdings have entered into a long-term lease agreement for the Company’s rights to use over 20,000m2 property in Beijing, China.